Does your school implement PBIS or a similar program? 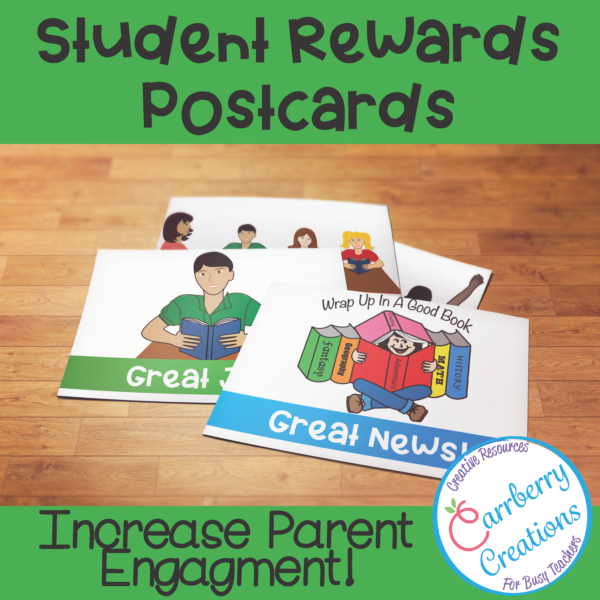 these rewards postcards are the perfect fit for most classroom management programs. They are an inexpensive way to reward students for their hard work and accomplishments in your classroom. In this digital age there is something super satisfying about receiving “snail mail.” Your students will love the treat of receiving a postcard in the mail from you! This file contains 18 teacher postcards in color. Simply print double sided on card stock, fill in with a note to a student, post and mail. Most children are super thrilled to received mail, especially in this age of technology, and postcard stamps are extremely inexpensive, making this both an excellent reward for them and for you. Also, follow me and be notified when new products are uploaded. New products are always discounted for the first 24 hours they are posted. Followers get the best deals!